I’ve been wanting to tell you about something amazing that I made. Well, two somethings to be exact. But I didn’t really know where to start. The first draft of my post began with blah blah blah. Seriously, the text read “blah blah blah … <<INSERT RECIPES>>.” My second and third drafts were not much better. So I did what I could while my thoughts stewed. The pictures were taken and the best ones were chosen and cropped and sharpened and uploaded. The recipes carefully typed out. And then everything sat in an intro-less draft, gathering cyber dust. Everything I wrote sounded like this: I went to a great restaurant, I’ve already told you about it, and here are a few recipes. Boring, no? But today when I opened the latest Food & Wine, I realized what that meal was, and the recipes are finally ready for their debut. Dana Cowen opens the issue with what almost sounds like a confession: “Over the past two years, I’ve joined the ranks for the world’s food pilgrims – people who plan a whole trip just to have a single meal.” She goes on to talk about recipes that inspire wanderlust and trips planned for the sole purpose of reaching a destination restaurant. I’ve admitted — bragged even — that I travel to eat. That I’ve wandered the streets, lusting after the best a new city can offer. You hear it all the time, that life is the journey, not the destination. But here’s my own dirty little secret: sometimes it’s just all about the destination. I’ve told you about the destination – Zahav restaurant in Philadelphia. Perhaps you could even say that I took a long journey to get there – that going to medical school in Philadelphia led me to business school in Philadelphia led me to an annual conference that brought me to Philadelphia a few weeks ago. Yes, this was an important journey. But then I almost skipped the conference this year. And then I thought about Zahav. And then I registered for the conference. I didn’t go to the restaurant because I happened to be in town for a conference. Instead, I decided to go to the conference as an excuse to go to Zahav. Not that you need an excuse. I was in Philadelphia for less than twenty-four hours. I landed, took a taxi to my hotel, changed my clothes, took a taxi to Zahav, ate an obscene amount of food, took a taxi to my hotel, went to the conference, took a taxi to the airport and headed to Vegas. There was no journey, just a destination. And it was worth it. The flight, the hotel, the conference, the calories. I guess at the end of the day, I’ve still said what I always intended: I went to a great restaurant, I’ve already told you about it, and here are a few recipes. Enjoy…until you can go to Philadelphia for the real thing. 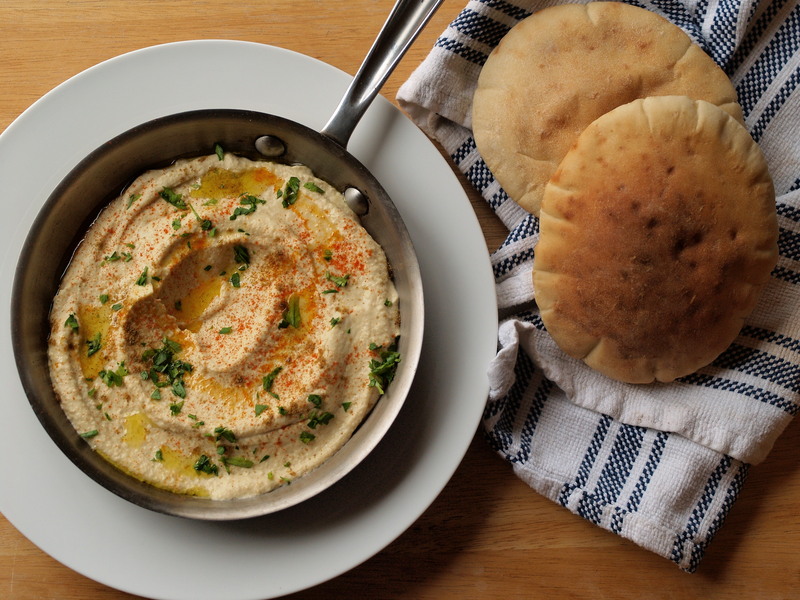 I adapted this hummus from Chef Michael Solomonov’s recipe in Food & Wine. Most meals at Zahav start with a tower of salatim (cold salads), a dish of freshly house-made hummus, and steaming rolled-up laffa bread. It’s worth taking the time to use dried chickpeas — the extra steps of soaking them overnight and then boiling them the next day result in a silky smooth texture that canned just can’t replicate. This recipe makes 4 cups of hummus which is quite a lot. My six guests and I barely ate half of what I made. The leftover hummus is great for a few days, but without preservatives, that’s about as long as you can keep it in the fridge. And, please, if you want to be authentic, call it hoo-moose with a guttural h if you can manage it. – 1/4 C tahina (tahina separates pretty easily, so bring it to room temperature so that it’s easier to stir to incorporate). Soak. 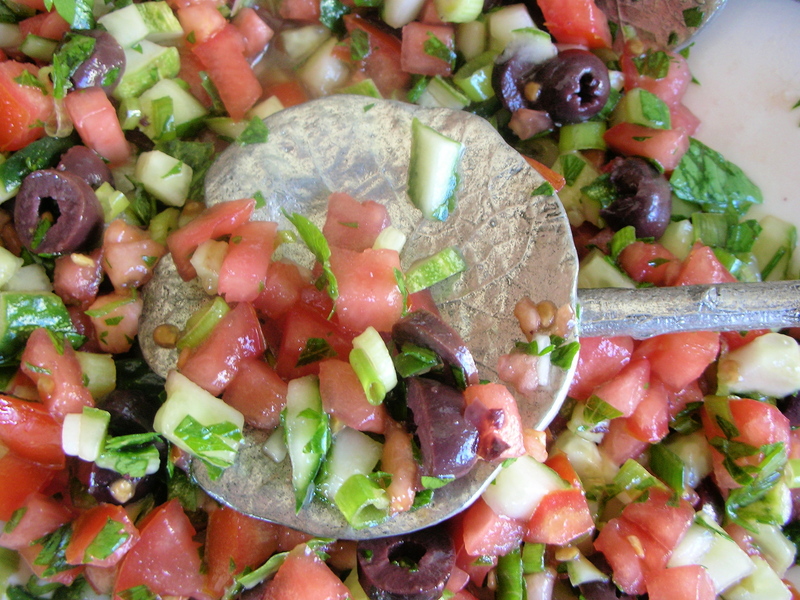 In a large bowl, cover the dried chickpeas with 2 inches of water and stir in the baking soda. Refrigerate overnight. Simmer. The next morning, drain and rinse the chickpeas under cold water. Pour them into a saucepan and cover with 2 inches of fresh water. Add the unpeeled garlic cloves and bring everything to a boil. Turn down the heat (but not too low) and simmer, covered for about 40 minutes. The chickpeas should be tender but not mushy. Scoop out about a cup of water (to use later) and then drain the chickpeas. Rinse the chickpeas under cold water. Peel the garlic cloves. Puree. In a food processor, puree the chickpeas with 1/2 C of the reserved cooking water, 1/4 C of olive oil and the garlic cloves. Then add cumin, tahina, and lemon juice. Continue to puree until really creamy. Season with salt. Serve. 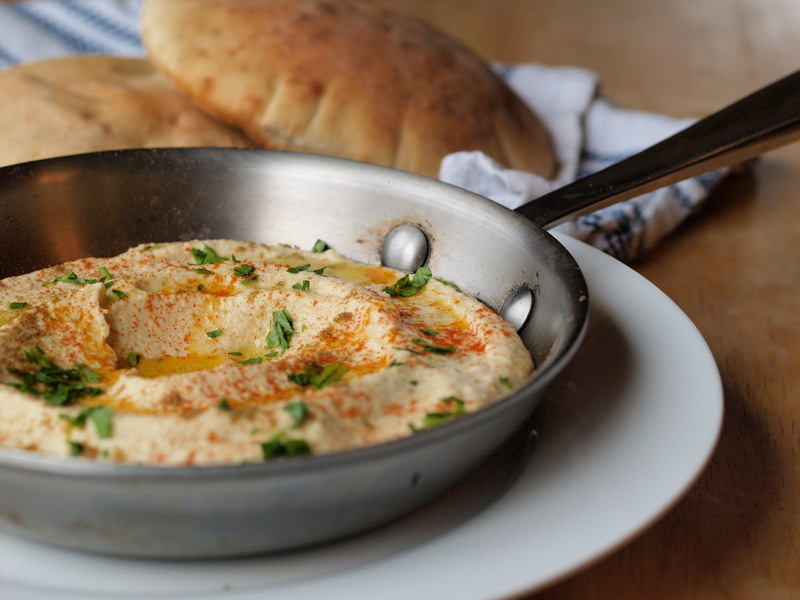 Fill a flat serving bowl with the hummus, smoothing out the top. Drizzle with olive oil and sprinkle with cumin, paprika, and sumac (or whatever spices you like) and parsley. I served mine in a pan and warmed the whole thing up in the oven for a few minutes before garnishing. 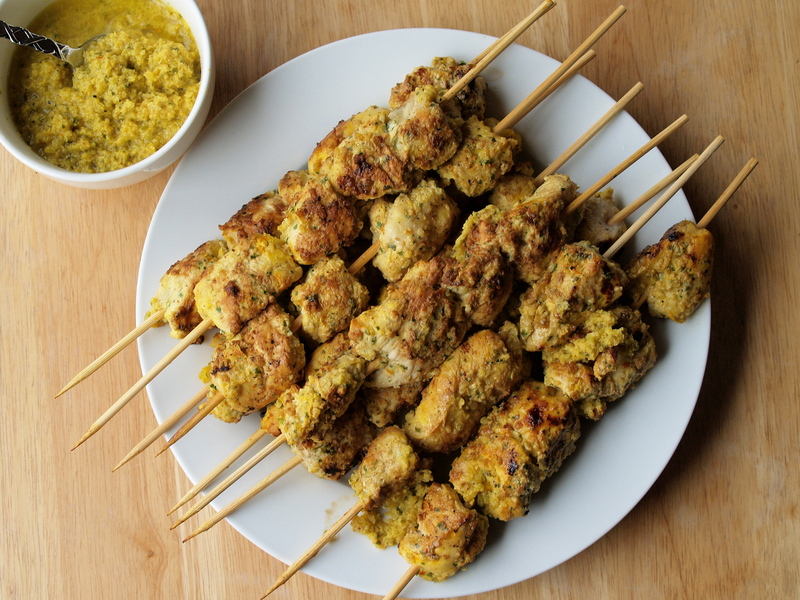 This recipe is adapted from Chef Michael Solomonov’s lamb skewers in Food & Wine — I just replaced the lamb with chicken. The main dishes at Zahav are called al-ha’esh, literally on the fire. Their kitchen has a coal grill; in my apartment, I use a grill pan. I doubled the recipe and next time will triple it. There was not a single piece of chicken remaining among the six carnivores at the table. The chicken is really moist, so it doesn’t need extra sauce, but the marinade is so good, it’s a pity to waste. 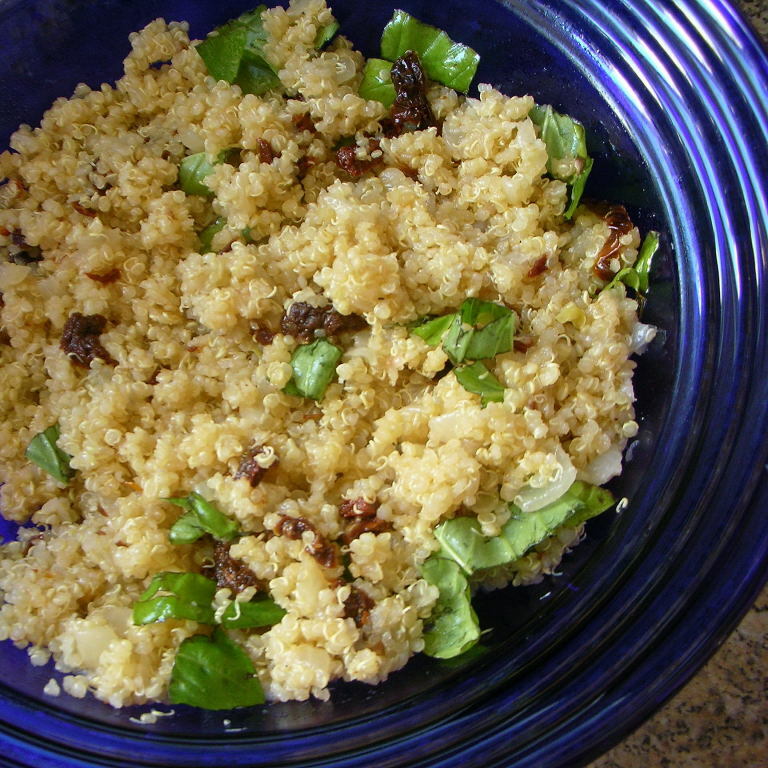 Boil it down (since it’s been mingling with raw chicken) and dip pita in it or pour it over couscous. Puree. In a blender or food processor, puree onion, garlic, parsley, lemon juice and zest, ras al hanout (or allspice), salt, and saffron. Cut. Cut the chicken into cubes, approximately 1-inch on each side. Marinate. Fill a large ziplock bag with the chicken and then pour the puree over it. Shake everything around until the chicken is well coated. Zip the bag, pressing out any air. 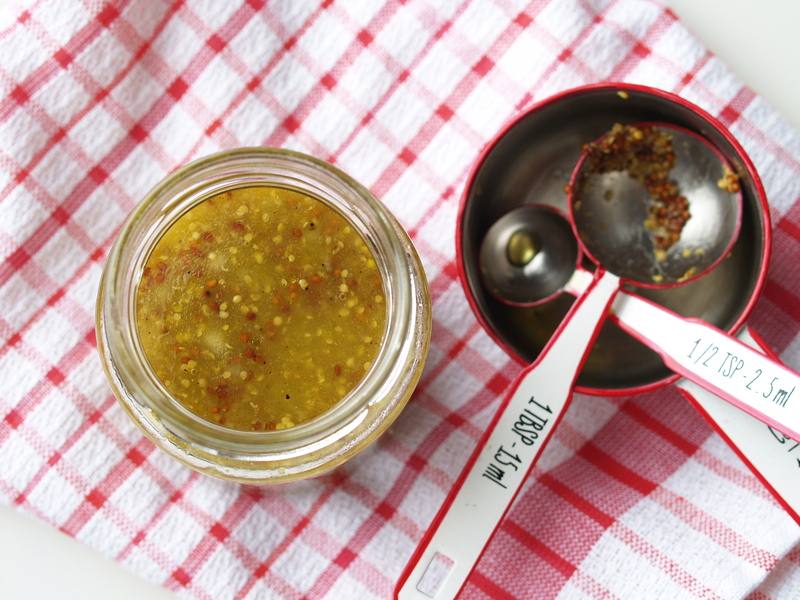 Refrigerate overnight (or at least 6 hours). Grill. Preheat a grill pan. 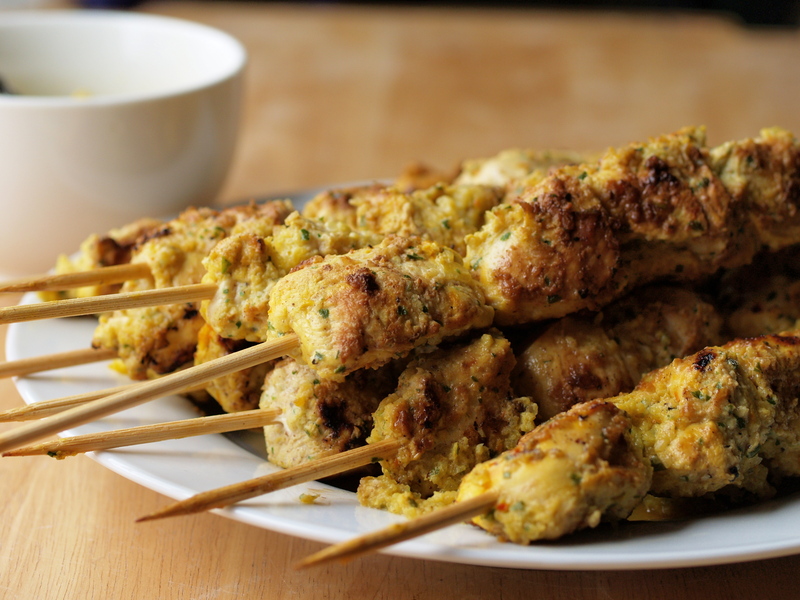 Remove chicken chunks and thread them onto skewers (about 4-5 per). Reserve the marinade. Brush the chicken skewers with oil and grill over high heat until all sides are lightly charred, about 10 minutes or so. 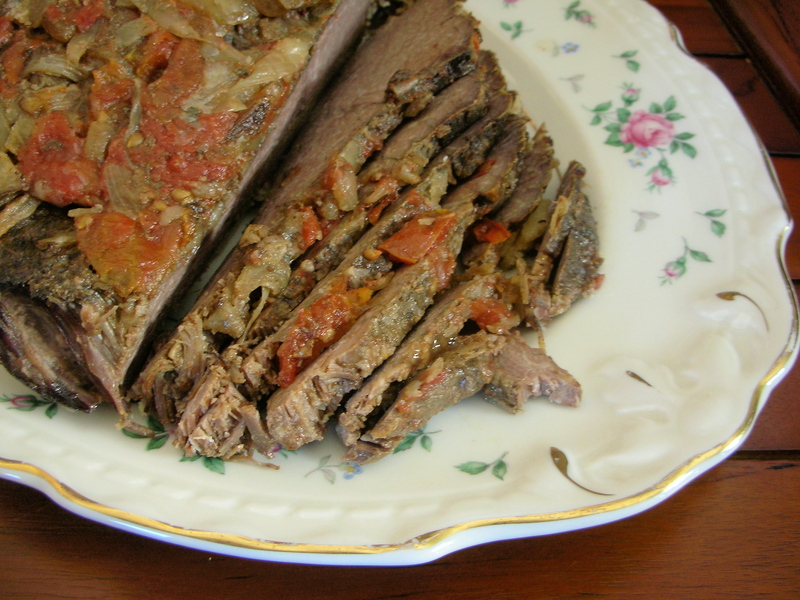 You want to turn the meat occasionally – you’ll know it’s ready to be turned when it easily releases from the pan. If it sticks, don’t touch it. Poke a knife into a piece of chicken to make sure it’s cooked all the way through and not pink inside. Boil. Pour the remaining marinade into a pan and bring to a boil. 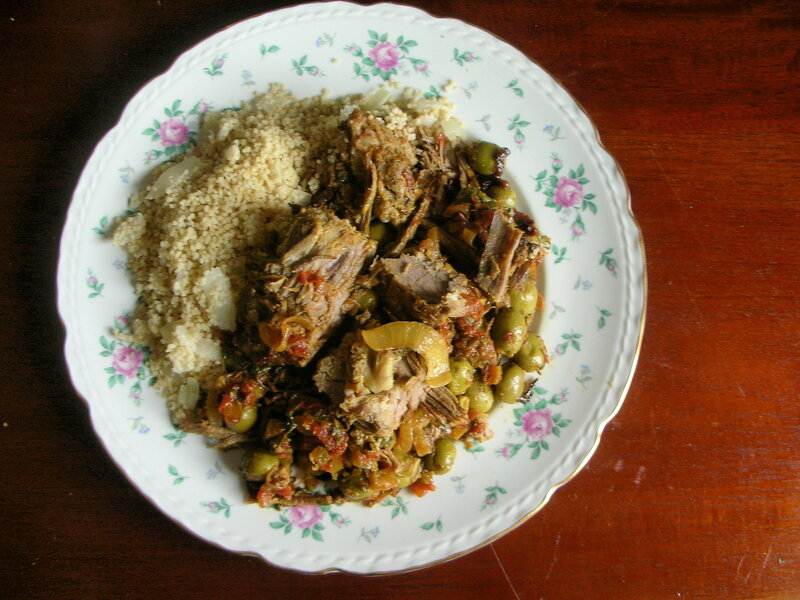 Serve with the skewers or on rice or couscous. 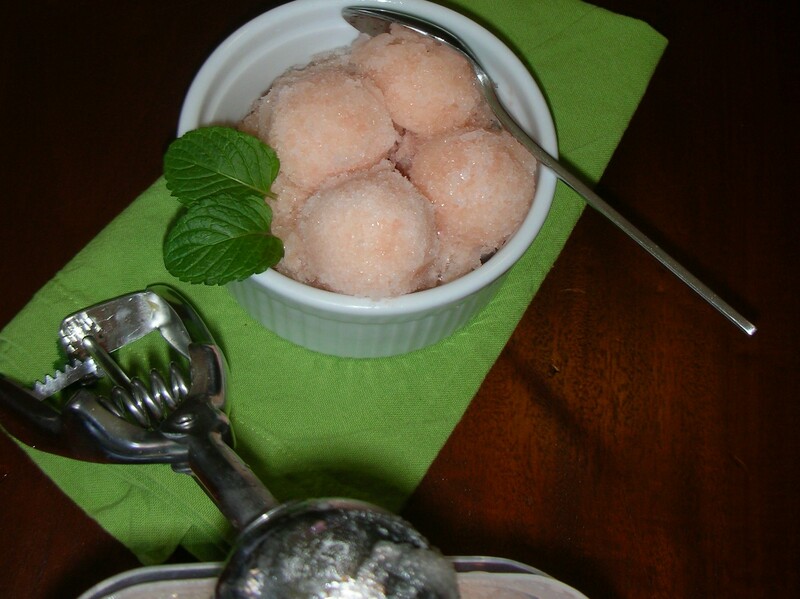 I have a whole slew of recipes and pictures to share from a dinner I made several weeks ago. They are a bit overdue but too good to miss. So, here goes. The first is a classic roasted chicken. I’ve always been a little apprehensive about cooking a whole bird. I’ve never actually made a Thanksgiving turkey. But in the fifth week of the cooking class I took, Chef gave us a fail-proof classic French technique for roasting a chicken. Throwing caution to the wind (or as much caution to the wind as you can throw when following a cooking instructor’s fail-proof technique), I roasted not one, but two (two!) chickens for dinner. I pulled the small chickens out of the fridge, rinsed and patted them down inside and out, and let them come to room temperature. I cranked the oven up real high — 450ºF to be exact. I cut one lemon per bird into quarters and slid them into the birds’ cavities with a few sprigs of thyme. 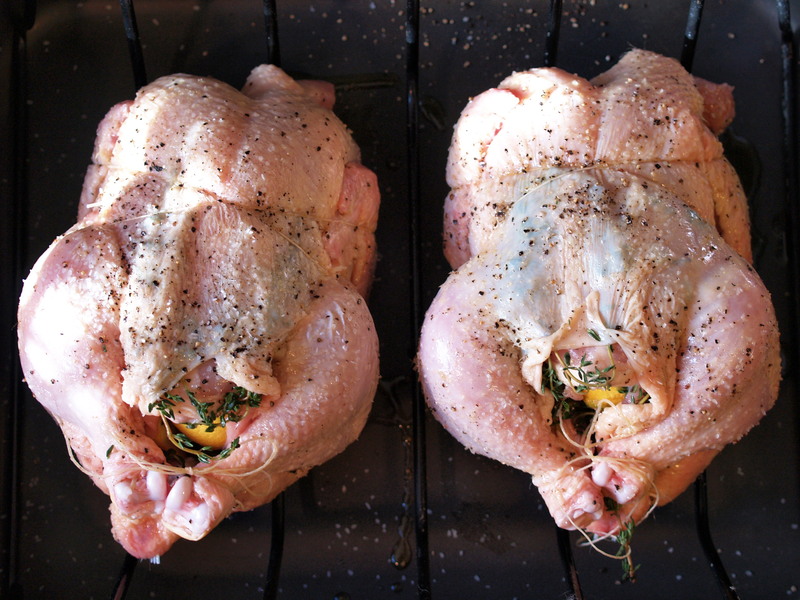 I loosened the skin around the breasts and slid a few more sprigs of thyme into each pocket. I rubbed the birds with olive oil and sprinkled them with a lot of salt and pepper. I trussed them up, tying the legs so they daintily crossed at the ankles. I popped then in the oven for 45 minutes. No turning or flipping. No basting. Just a few temperature checks until 165°F in the breast and it’s done. I scraped up the bits on the bottom of the pan, made a roux, added broth, and collected the gravy. At dinner, one of my friends carved half of the first chicken and then guided me through the other half. The skin was crispy. The meat was moist. The dinner was a hit. 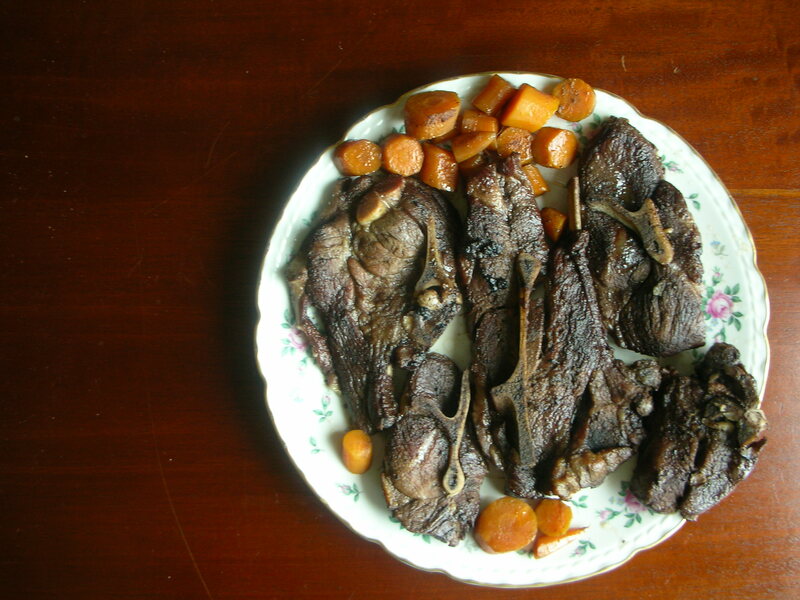 The next day, I covered the leftover carcass with water and simmered with a few vegetables until a broth was born. (I also made soup, challah, brussels sprouts, mashed potatoes with almond milk, and chocolate bread pudding. I’ll send the bread pudding recipe real soon. Prep. Rinse chicken and pat dry inside and out. Let it come to room temperature – this takes about an hour. Preheat oven to 450°F. Season. Slice a lemon in quarters and stuff them into the cavity. Slip a few sprigs of thyme in the cavity around the lemons. With your fingers, loosen the skin from around the breast, and slide a few more sprigs of thyme underneath the skin. Slather the chicken with olive oil and sprinkle with a several large pinches of kosher salt and a few grinds of pepper. Tie. I can’t really describe how to truss a chicken because I never do it the same way twice, though I have found some helpful instructions. The gist of trussing a chicken is that you use kitchen twine to tuck the wings underneath the chicken and tie the legs together in front of the cavity. This helps the chicken cook evenly (and looks a little more polite when sitting at the table). Roast. Put the chicken breast side up on a rack in a pan. Roast until the breast temperature reaches 165ºF . This took me about 45 minutes, but you should start checking after 25 minutes. Rest. Remove the chicken from the pan and let it rest for 15 minutes before slicing. Make gravy. Scrape up the browned bits on the bottom of the pan. Add margarine and flour, and whisk together until thick and smooth. 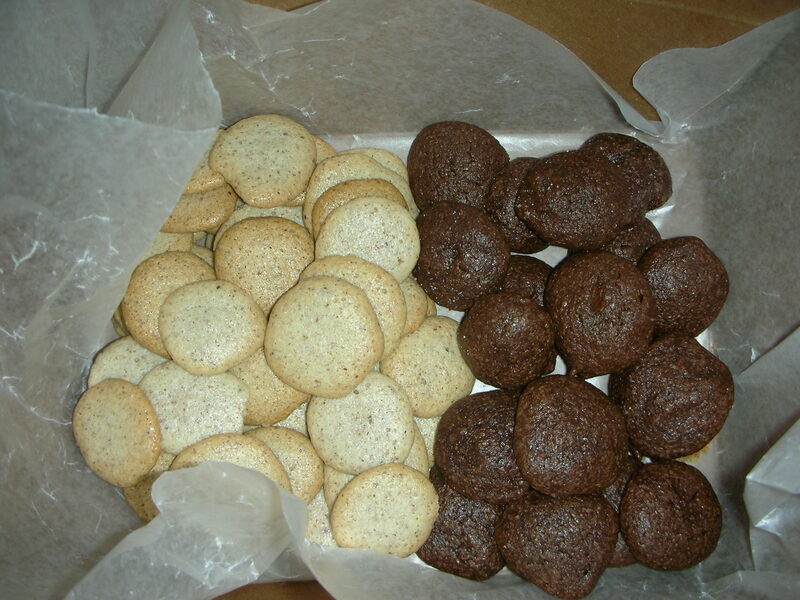 Heat gently until the flour starts to brown – keep stirring. You know the roux (mix of flour and fat) is ready when it no longer tastes like flour. Add chicken stock and keep stirring. Let the gravy reduce to the thickness you want. You can always add more stock (or water) if it gets too thick. Make stock. In a large stockput, cover the leftover chicken bones and carcass with cold water. Roughly chop the carrot, celery, and onion , and add them to the pot. Simmer for 3-4 hours until the bone start falling apart, skimming the scum off the top. Don’t boil or stir. Strain the stock, cool it on the counter, refrigerate, and skim the fat off the top. Fill ziploc bags with 2 cups of soup each and freeze them for the next time you want to make soup or gravy. Contrary to what you may believe, I do, every once in a while, make simple dinners and desserts. More often than you’d think, in fact. I’ve been trying my hand at a few classics. I mean, classics are classic for a reason. They’re tried and true. Reliable. Foolproof. So it’s high time I shared with you a few classic, good old standbys that I can throw together after a long day of work and know that they’ll be good. This way, you can throw them together too. This look into classic dishes was inspired by a slow food campaign at my company. Our café sold, for $10 (!!! 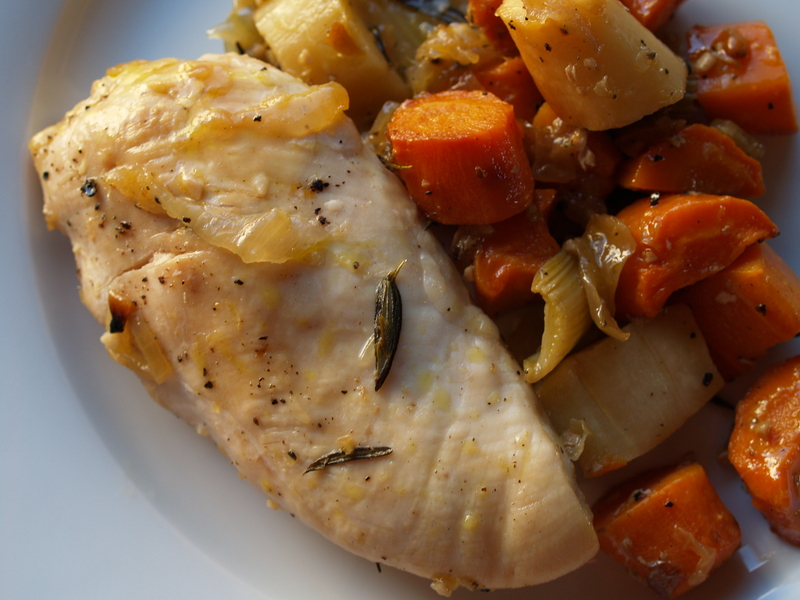 ), all the ingredients (except for a chicken) necessary for a hearty, healthy dinner for a family. 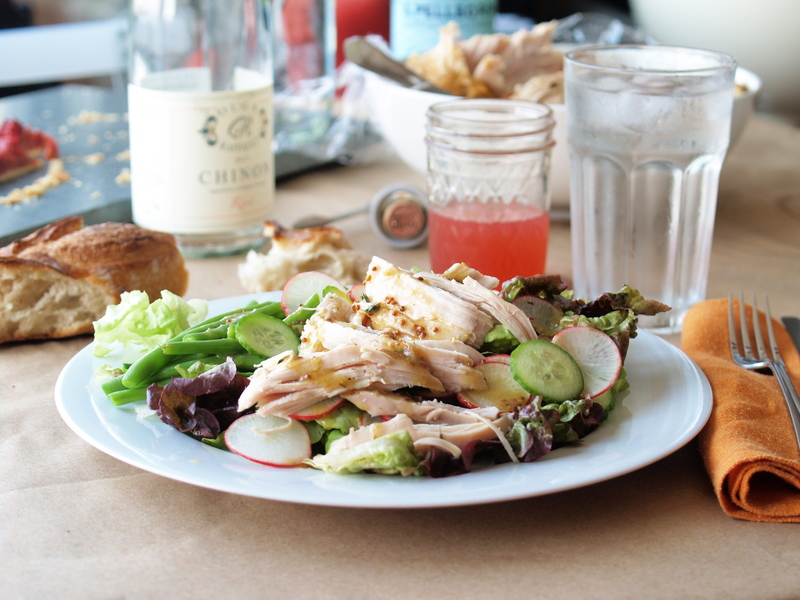 They even provided recipes — chicken, salad, greens and pasta, and fresh fruit for dessert. This was too good to pass up. So I lugged home my bag of groceries and laminated recipe card. I made the chicken with just a few modifications, using chicken cutlets instead of a whole chicken and a nice addition of lemon juice. I used chard to make a minestrone. And voilà – a few dinners and lunches for the week. These recipes aren’t rocket science, but they’re great ones to have in your repertoire. They pretty much use ingredients that are probably already in your fridge and pantry. The most difficult step is rough chopping some vegetables. And then you leave the dish to cook while you write a blog post. You just need to check on the chicken or soup every once in a while. C’est tout. That’s all there is, folks. This chicken takes about 45 minutes to an hour, from start to finish. Most of the time, the chicken is just baking in the oven and you need to check it every 10-15 minutes to mix and baste. Prep. Preheat oven to 425ºF. Rinse chicken and pat dry. Rough chop all the vegetables – try to get them approximately the same size (except the garlic of course). Fill. 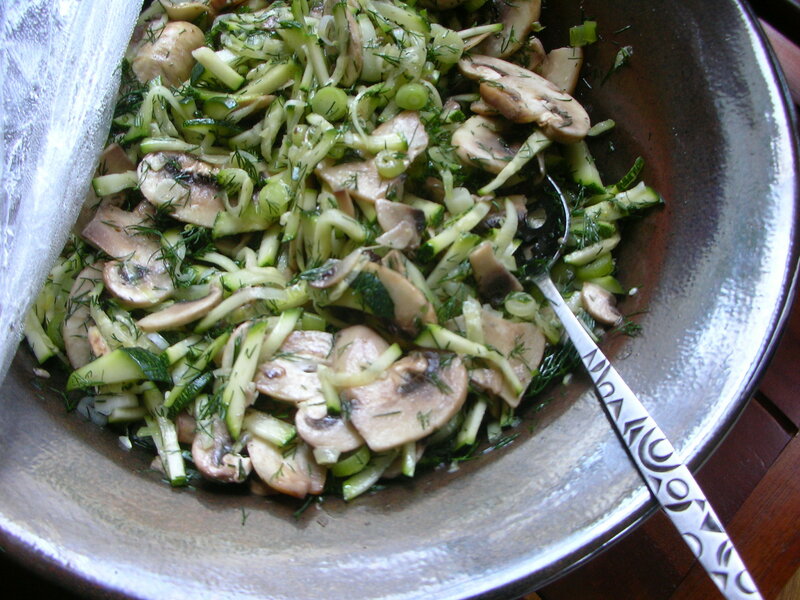 Scatter the vegetables in a pan large enough to fit them more or less in a single layer. 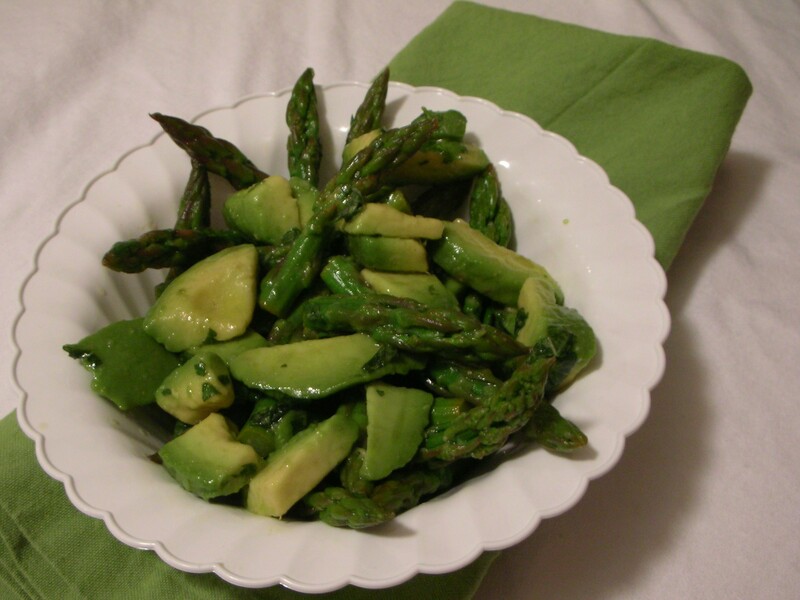 Douse with olive oil (maybe 2T) and sprinkle generously with salt and freshly ground pepper. Season the chicken with salt and pepper too. Place the chicken on top of the vegetables and douse the chicken with a little more olive oil (another 1-2 T) – you can omit this if you are using chicken with skin. Pour in the lemon juice. Bake. Bake the chicken for about 45 minutes, stirring and basting every 10-15 minutes. Add water or more lemon juice if you notice that there aren’t many juices and the corners of your pan are starting to burn. The chicken is officially ready when it reaches an internal temperature of 160ºF. I generally take mine out at 155ºF, but I’m wild and crazy. If the vegetables don’t cook as fast as the chicken, take the chicken out when it is ready and let the vegetables finish baking. Add the chicken back to the pan to warm back up for 5 minutes. Eat. Take it out. Let the chicken rest for 5 minutes, and then serve it straight from the pan. You can even eat it out of the pan if no one is looking. I found this recipe in the New York Times earlier this year. 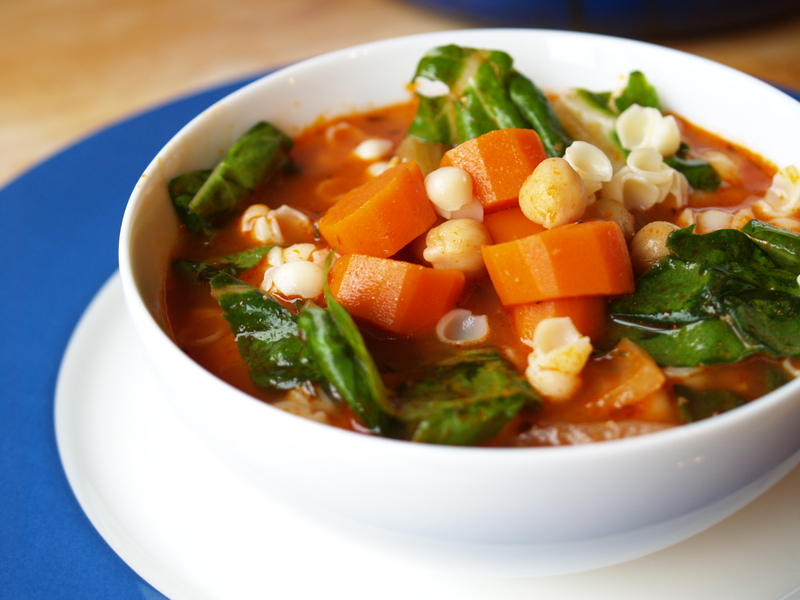 You can freeze the soup before you add the chickpeas and chard. 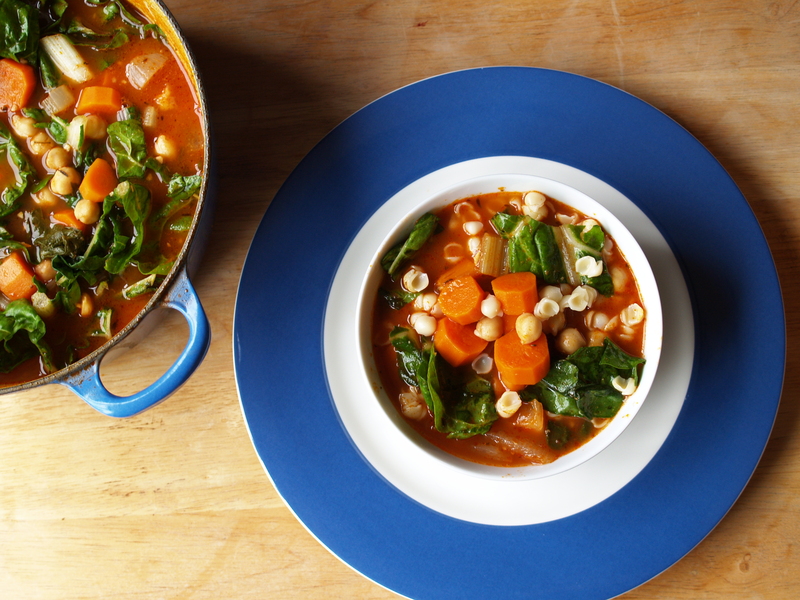 When you want to eat, just re-heat and add in chickpeas and chard for about 10 minutes. Prep. Rough chop the carrots and onions – try to get them approximately the same size chunks. Wash the chard really well. Remove the stems from the chard and rough chop as you would celery. Make a few lengthwise cuts in the chard leaves and then cut them widthwise into thin strips (“chiffonade” if you want to be all fancy about it). Simmer. Pour enough olive oil to coat the bottom of your pot. Add all the vegetables except for the chard leaves. Saute until they start to soften, about 5 minutes. Add tomato paste, water, thyme, bay leaves, and parm. Cover and simmer for 30 minutes or until the vegetables are cooked through. Add salt and pepper to taste. Be careful not to set the heat too high because the soup will bubble over. Believe me – I know. Store (optional). If you’re going to eat the soup at a later time, you can freeze or refrigerate the soup at this point. When you want to serve, proceed with the rest of the steps. Simmer again. Rinse the chickpeas and add along with the chard leaves. Simmer for another 5-10 minutes until the chickpeas heat through and the chard wilts but still keeps its color. Boil. Don’t boil the soup! Boil the pasta as directed, to just shy of al dente. Spoon into the soup right before serving (otherwise it will absorb the hot soup liquid and get overcooked and mushy). Eat. Carefully. Let the soup cool off a bit before eating. I managed to burn my lip – and I was in pretty bad shape. Sprinkle with extra parm if you want. He walked through the door, bearing gifts. A bag of groceries – cheese, chicken, lemons, nectarines, and wine. Foraging through the pantry and fridge, he gathered the meal. Bread with cheese to start things off, with a little care in the kosher kitchen where milk and meat are kept separate. Cheese stayed at one end of the dining room table. On the kitchen counter, an assembly line was set up. A bottle of wine was opened and poured. He said, every Jewish mother knows how to make schnitzel. No, she said, every Israeli mother knows how to make schnitzel. She was neither. She watched him carefully. The pans heated and the schnitzel stacked up. Avoiding the splattering oil, she moved to the dining room and gathered linens, continuing to observe at a distance. The table was set. The limonana was poured. The smoke detector blared. Its battery was removed and all the windows and doors were opened. The breeze chased out the smoke. They sat down to dinner. 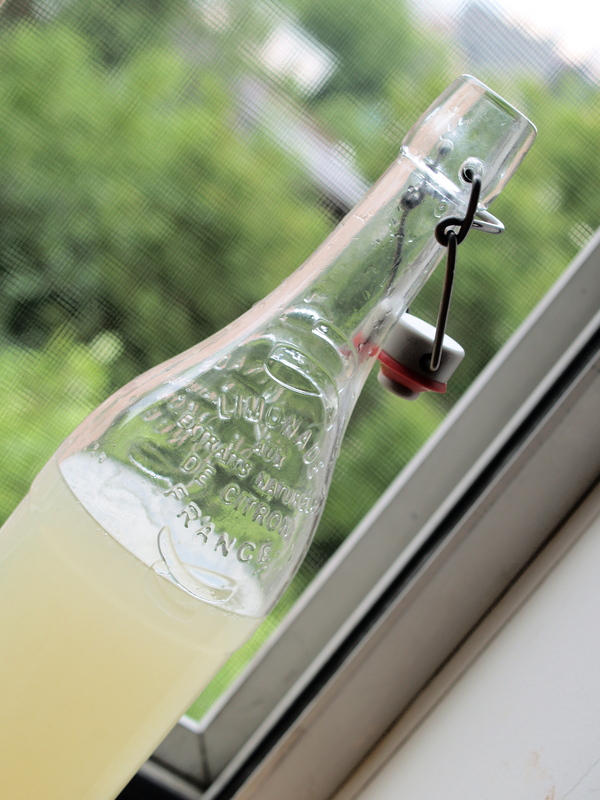 I had fresh lemonade at Joanne‘s this past winter. She uses Ina Garten’s (Barefoot Contessa Cookbook) ratio of 4:1:0.5 water-lemon-sugar, and who can argue with the recommendations of a woman with a lemon tree in her backyard? You can obviously adjust to your own preferences and I sometimes use less sugar. When you add mint, called nana in Hebrew, lemonade (limonada in Hebrew) becomes limonana. Throw the first 3 ingredients in a blender. That’s it. 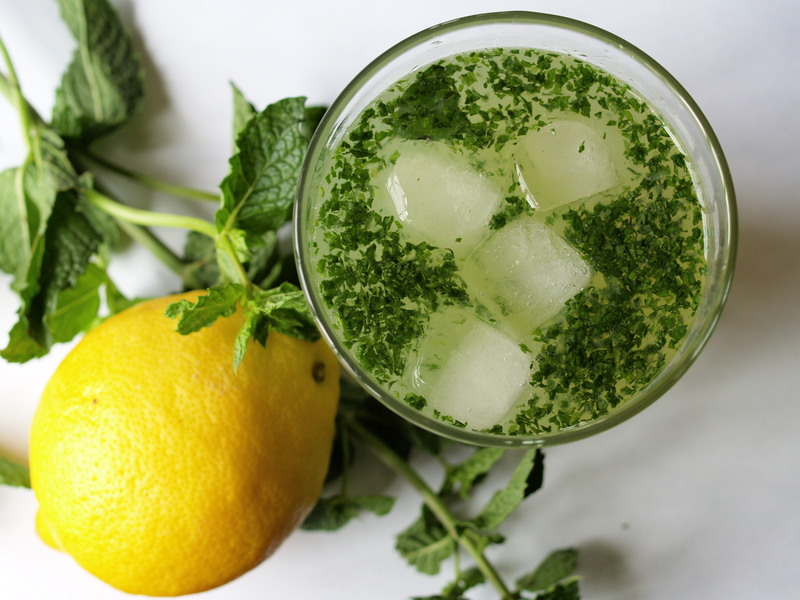 Either add mint to the blender as well for a green-tinted drink, or add a branch-worth of leaves to lemonade right before serving to turn the lemonade into limonana. Schnitzel is breaded, fried chicken cutlets that are incredibly moist beneath the crispy crust. I don’t have exact quantities for this recipe, but more of a formula. 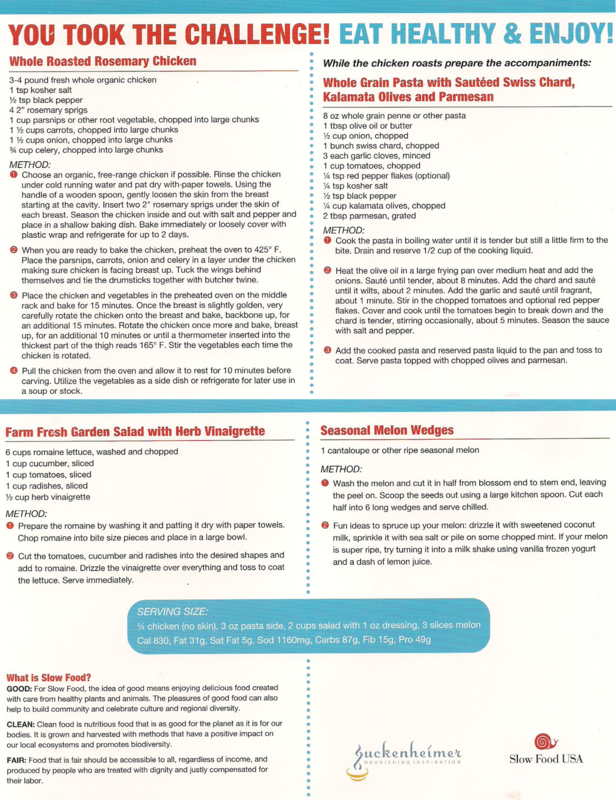 Slice boneless, skinless chicken breast cutlets into thin strips, cover with wax paper or plastic wrap, and pound flat with a mallet. If yours has a tenderizing side, don’t use it. We made about one and three-quarters of a pound of chicken (3 large breasts) which we sliced into 12 strips. Prepare four plates. Sprinkle flour on the first plate. On the second, break and beat a few eggs (we used 4). Dump a big pile of fine bread crumbs onto the third (you can also use panko, but I find the coating to be too thick and bready). Coat the chicken in flour, dredge through the egg, and coat with bread crumbs. Stack onto the fourth plate. It’s best to use two pans to make quick work of the frying so you can serve all the chicken hot. Coat two pans with vegetable oil and turn heat to medium-high/high. Cover a fifth plate in paper towels and have the rest of the roll nearby. Once the oil is heated, add chicken to the pans in a single layer. Step away from the pan as you add the chicken (or if you’re cooking in a pair, the better dressed one should just step out of the kitchen and set the table) – this will splatter and make a mess. I think that’s part of the charm. After a few minutes when one side has browned, flip the chicken and cook for another few minutes until brown on both sides. Remove the schnitzel and lay over paper towels in a single layer. Add more paper towels between each layer to absorb the oil. Serve hot, sprinkled with salt, and plan for 2-3 schnitzel per person. 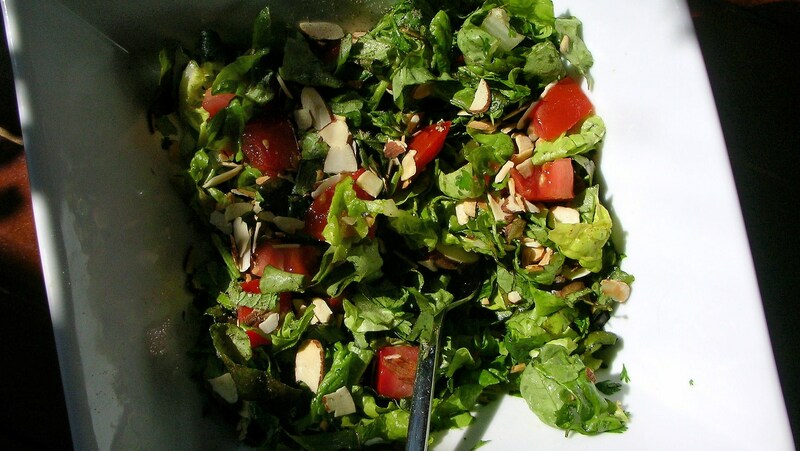 If you have any left over, slice and throw on a salad the next day. One year in elementary school, we had a “Mitzvah Fair.” Sort of like a Science Fair, but fewer experiments. We had learned in Hebrew class that there were 613 seeds in a pomegranate, supposedly corresponding to the number of mitzvot — commandments or good deeds (depending on the context) — in the Torah. So, I paired up with a friend and we counted the number of seeds. Well, we tried to. We bought two fruits, trying to make this project as scientific as possible, but weren’t able to count beyond about 400 per pomegranate. And, we did count the ones we ate. That was the first time that I had ever seen or tasted a pomegranate and to my pre-teen self, the fruit was the epitome of exotic. My friend and I had no idea how to remove the seeds. We cut the fruit in quarters, losing many seeds in the process, and then plucked the remaining seeds out by brute force with our less-than-nimble fingers. Perhaps that’s why we didn’t get close to the expected 613. Now pomegranates seem fairly common, and the juice is ubiquitous. And, thanks to a tip from my Atlanta family, I now know that the easiest way to remove pomegranate seeds is to carefully slice through the skin, gently pry open the fruit, and submerge it in a bowl of water. The water helps loosen the seeds (called “arils”) and they sink to the bottom while the membrane floats. You can then roll remaining seeds out of the fruit, re-submerging the clustered seeds periodically to help separate them from the membrane. Our pomegranate experiment less than successful, my friend and I parted ways. Instead, I recorded myself as G-d giving the Ten Commandments to Moses. Adapted from Ethel Hofman’s Everyday Cooking for the Jewish Home. I doubled the recipe (and have included that doubling here) and used mostly boneless skinless chicken breasts. Essentially, you poach the chicken in olive oil which keeps the meat moist and the chicken can be easily reheated without fear of drying out. The original recipe calls for making juice from pomegranate seeds, but I take a shortcut, using either pomegranate juice of concentrate (which is just a juice reduction available in many Middle Eastern grocery stores). Pomegranates are traditionally eaten on Rosh Hashana as a reminder of the commandments that we have kept over the past year, as we pray in synagogue for our merits to be counted. 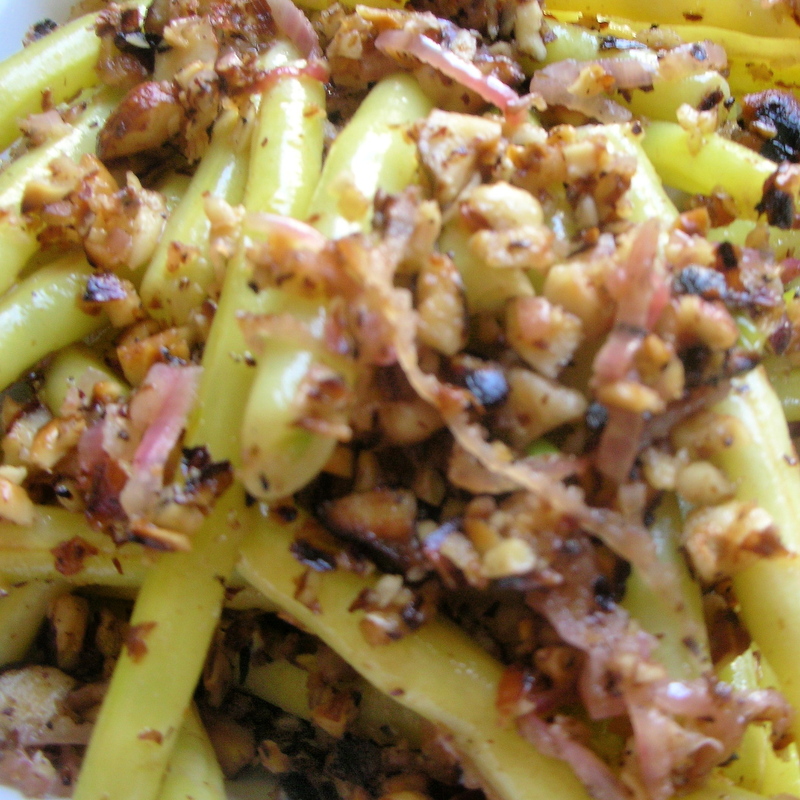 I have made this dish the past two years as part of my family’s Rosh Hashana meal. Bake chicken. Spread chicken pieces in a pan in a single layer. 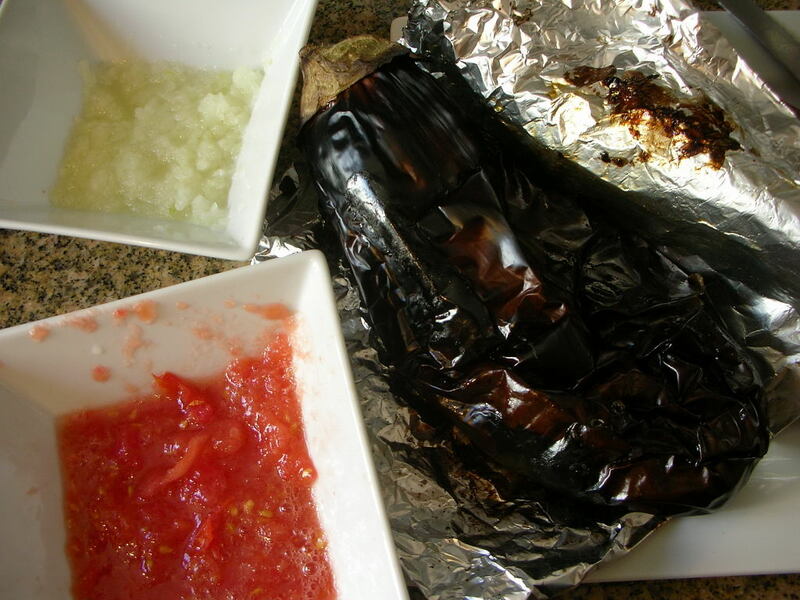 Cover with minced garlic, salt and pepper, and drizzle with olive oil. The recipe calls for 1/4 C oil per whole chicken, but this seemed like a little too much to me, so I cut the oil down a bit; use your judgment — there should be approximately 1-inch of oil in the tightly-packed pan . You could also toss the chicken, oil, and garlic in a ziplock bag and then spread the chicken in the pan. Bake in oven, uncovered, for 45 minutes. Baste every 10 minutes or so with the pan juices. My chicken did not brown at all. Prepare sauce. 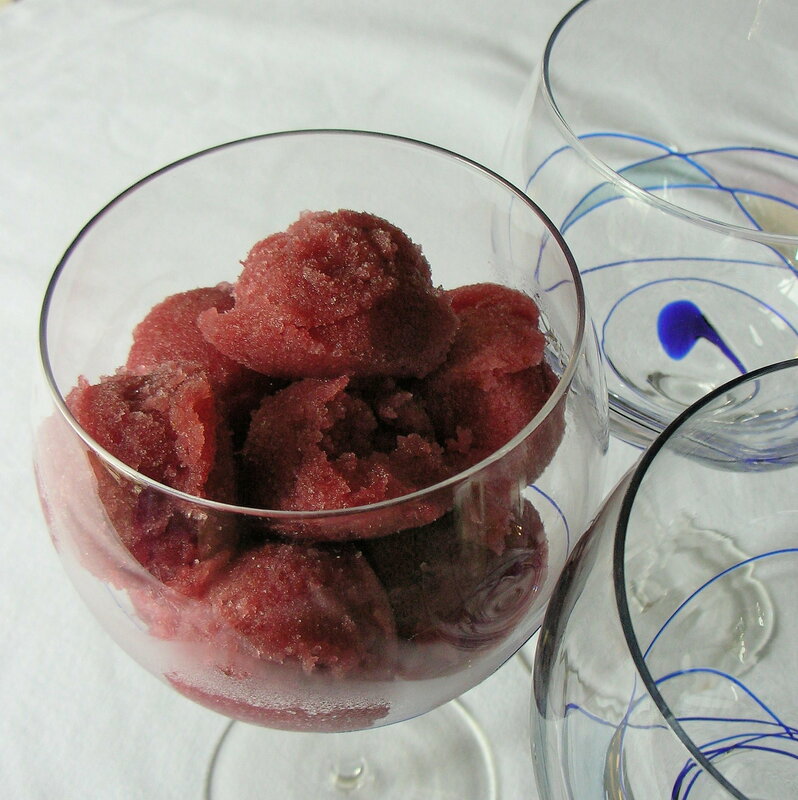 Bring to boil pomegranate juice or concentrate, white wine, lemon juice, cinnamon and sugar. Lower heat for 5 minutes. The sauce should reduce to about 3/4. Finish chicken. Drain excess oil from chicken. Pierce each chicken piece several times and pour sauce over chicken. Continue baking chicken with sauce for 10-15 minutes. 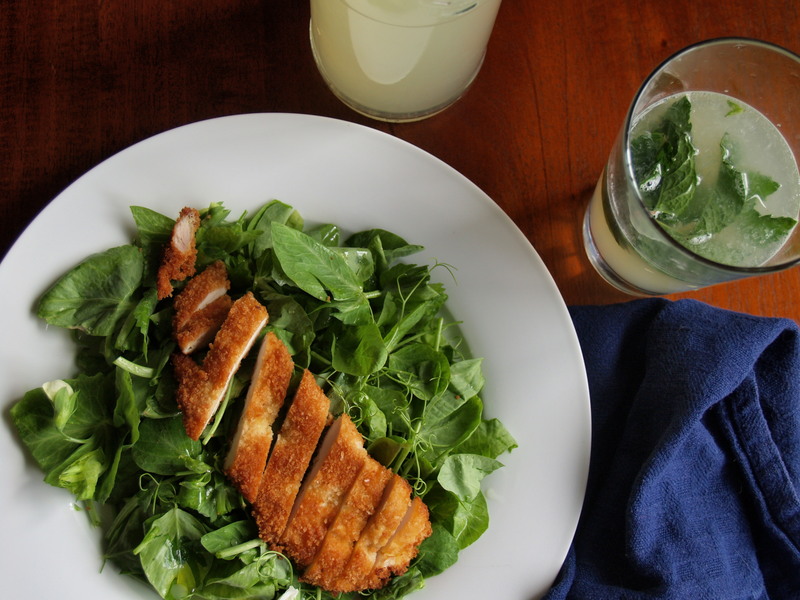 This chicken is great served at room temperature and on salads. If you have a pomegranate, sprinkle some of seeds on as garnish. 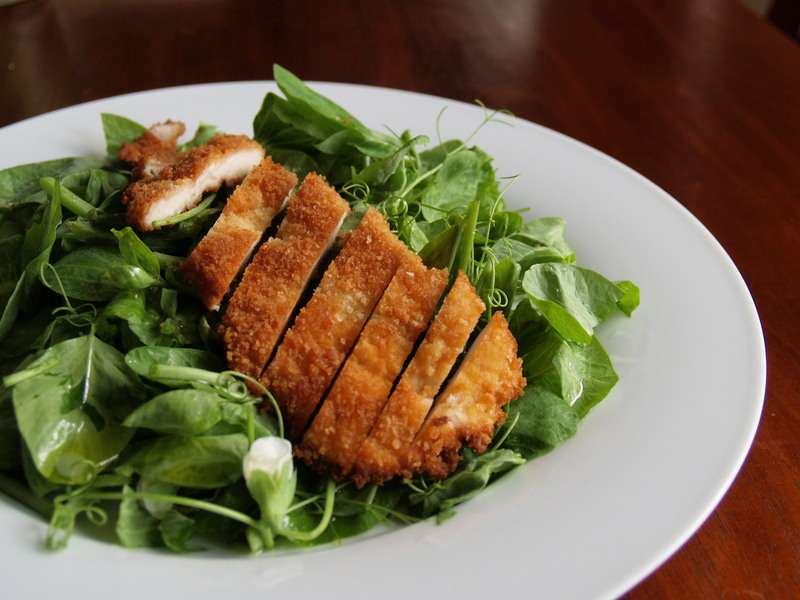 Using virtually the same flavor combination as the pomegranate sauce, I created a salad dressing to complement the chicken that I cut up and threw on a bed of baby spinach. 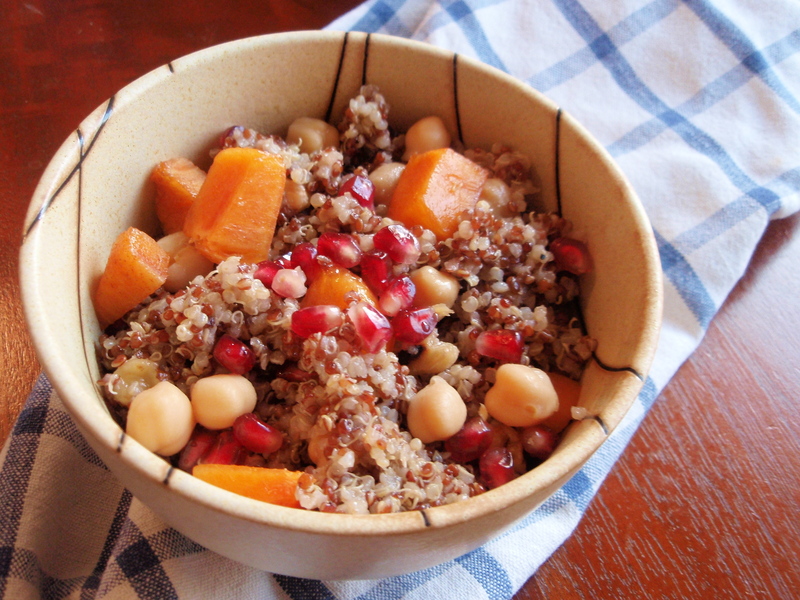 Mix all ingredients together in a bowl and let the flavors mingle for at least 20 minutes. 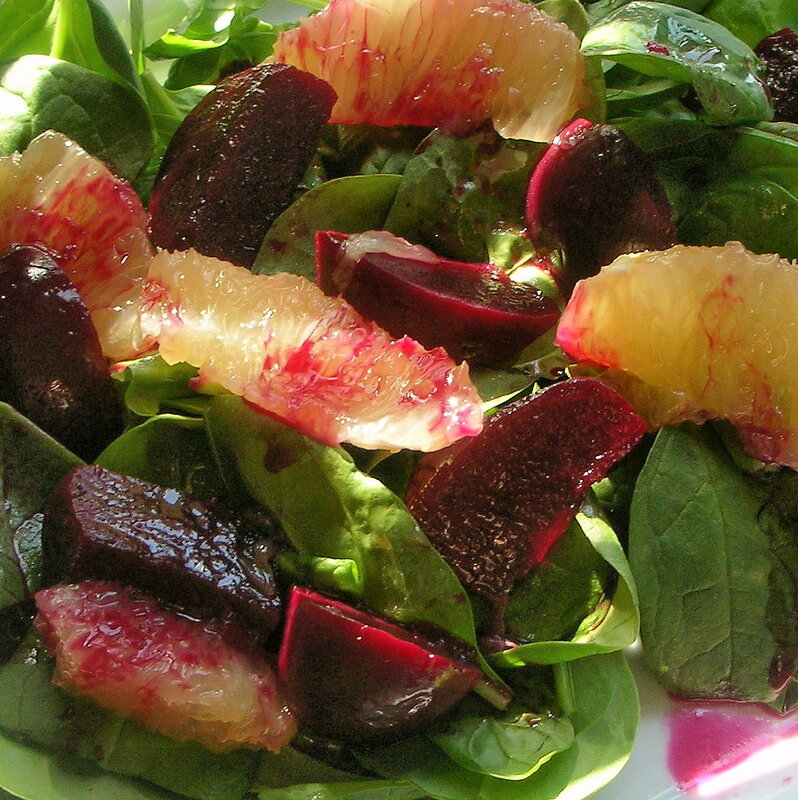 Toss liberally over salad greens and sliced pomegranate chicken. That was the first time that I had ever seen or tasted a pomegranate and the fruit was extraordinarily exotic to me. We had no idea how to remove the seeds and did it by brute force, plucking each seed out with our less-than-nimble fingers, crushing many in the process. Perhaps that’s why we didn’t get close to the expected 613. I had a dinner party earlier this month (shabbat dinner) and invited 6 adults and 3 children. I love having kiddies in my home, but my home is NOT child-proofed. I have a lot of things lying around. A lot. So much so that when my friend Lau in London told me she redecorated her place to be “minimalist chic” I remarked that mine must be “cluttered chic.” Lots of dangerous stuff that kids can knock over, or worse…ingest. But, having kids over is such a delight. In addition to having a less-than-kid-safe place, I don’t really cook kid food. I don’t know what kid food is. But, being new to the Cambridge community, I figured I should at least be open minded. I IMed my friend Caroline, the mother of two adorable kids to get some suggestions for what to make that would be “normal food” but wouldn’t leave three kiddy tummies grumbling. Caroline is my friend Meira’s sister, and the Katz family in Atlanta “adopted” me when my parents moved to California and it was too hard to travel home for Jewish holidays. I got to know the Atlanta Toco Hills community quite well and I always aspire to incorporate into my own home their warm southern hospitality. me: not entirely sure. 1 boy, maybe 2. 2 girls – 2+ and maybe 5ish? one of the moms said her kids eat ‘kid stuff, you know, carbs.’ UMMM, NO, I DON’T KNOW! me: ok, well maybe i’ll find some fun shaped noodles just in case. wait…maybe I can make meira’s pretzel chicken — is that sort of like nuggets? With that direction, I created a menu, trying to follow my typical formula and determined to not cater to the kids, but to make adult food and accommodate them as appropriate. 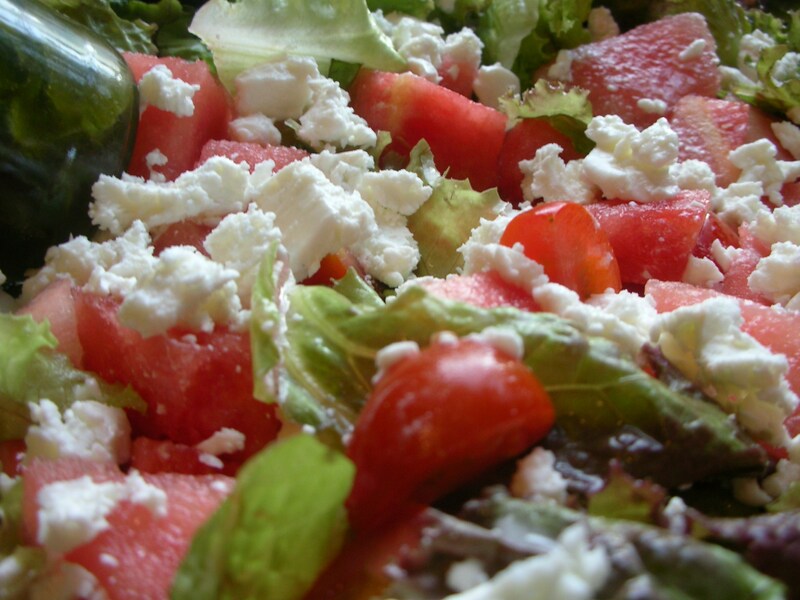 My typical formula is: starter = soup or appetizer; salad; challah; main; 2 vegetables; 1 starch; dessert (often chocolate). This was definitely a much simpler meal that I might normally have made, and the noodles for the kids was my biggest compromise. The shocker was the soup’s popularity with Yedidya – the 2-year old boy who kept eating spoonfuls from his mother’s bowl. 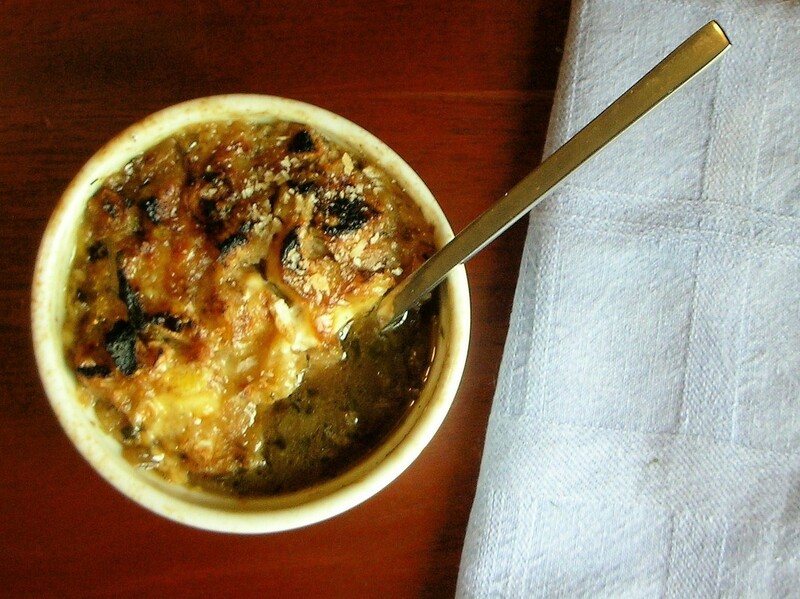 Even though my soup did not look as elegant as Clotilde’s (actually, Yedidya’s father guessed that it might be cauliflower and mustard soup…), it still is a sophisticated soup. The funniest part of the evening was when I had no toys for the kids to play with, but found some empty SweetRiot and Godiva Pearls metal boxes that the younger kids has a ball playing with. Forget the expensive toys…just give them some little metal boxes to play with and they’ll entertain themselves all evening. Or at least for an hour of two. Many of the recipes from this meal will follow in the coming days, but I can’t leave you without the “nuggets” recipe. Based on Meira’s directions. This is a very approximate recipe and quantities can be increased as necessary. 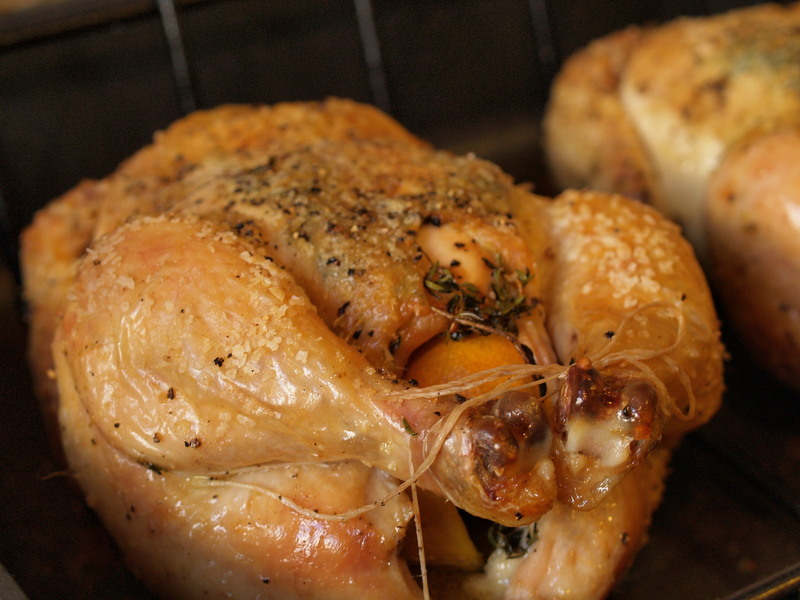 This is a really easy recipe and the chicken stays quite moist even if you have to reheat it. When I made the recipe for dinner, I marinated the chicken overnight, but breaded and baked it in the last minutes before sundown, so I didn’t have time to photograph the final product and there were very few leftovers. I made a second smaller batch using a slightly different process, with a shorter marinating time (which didn’t much alter the taste) and a quicker, less clean-up required, pretzel crushing method (which resulted in a less even coating). The pictures are not as pretty, but perhaps more realistic for what my friend Yael sometimes refers to as “harried housewives make shabbat” – and this is how she refers to one of her favorite synagogue-sponsored cookbooks! 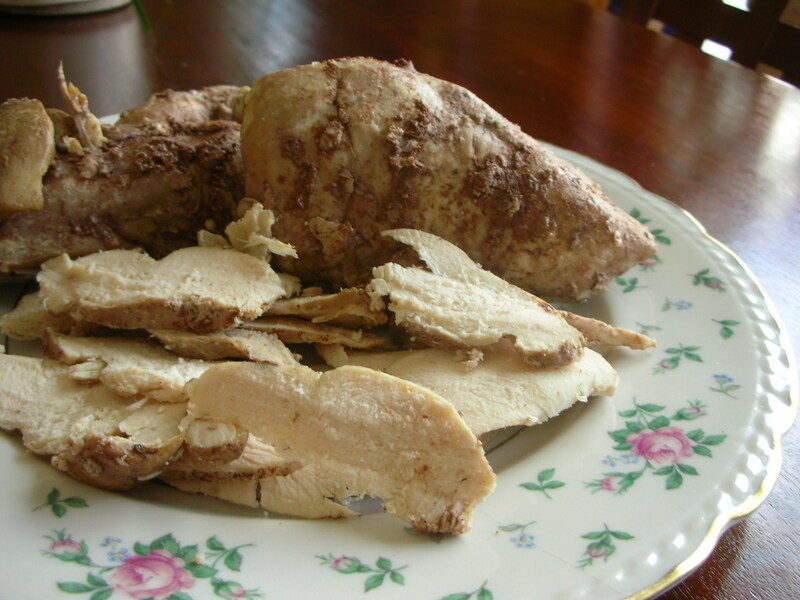 Marinade chicken: mix soy sauce, mustard, lemon juice and honey (if using) in a bowl or zip-lock bag. Cut chicken breasts into strips perpendicular to the grain of the muscle (should get about 10-12 strips for 2 chicken breasts) and marinate in liquid for at least 30 minutes or overnight (depending on how much time you have). Make coating: crush pretzels by hand with rolling pin in a bag (will have larger pieces) or using a blender (for a finer, more even coating). Meira usually does this by hand, but I think I prefer the blender method. The pictures were taken with the rolling pin method. Dredge the marinated chicken strips (and drumsticks) in pretzel crumbs to coat. Place in single layer on cookie sheet or pan. Bake for 30-45 minutes or until chicken is fully cooked. Can be reheated in oven at ~200°F for 15-20 minutes.